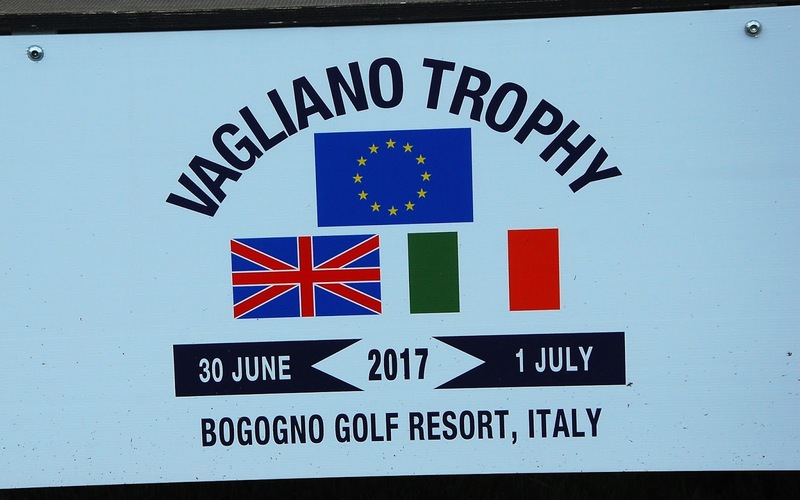 Can Great Britain and Ireland turn the tide of victories by the Continent of Europe in the 2017 Vagliano Trophy match at this splendid, two-course golf resort, a 30min drive northwest of Milan? Team Europe are bidding for a sixth straight win (2007-2009-2011-2013-2015-2018) in this biennial two-day match between the best female amateur golfers in Europe as a whole. On the face of it, the answer must be NO. The Continent has 40 players in the top 60 of the World Women Amateur Rankings while GB and I has but three in the top 60 - No 1 Leona Maguire (Slieve Russell, Ireland), No 13 Olivia Mehaffey (Royal Co Down Ladies) and No. 37 Alice Hewson (Berkhamsted). 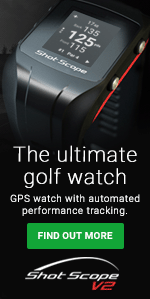 But GB and I's performance in getting within 1.5pt of winning the 2015 match at Malone GC, Belfast was their closest since they last won the match in 2005, by a 13-11 match at Chantilly GC, France. Since then, of course, GB and I have scored a marvellous win over the United States in the 2016 at Dunlaoghaire GC, near Dublin. 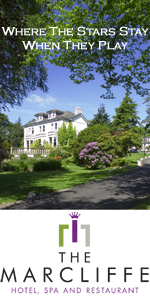 "We are quietly confident of victory. 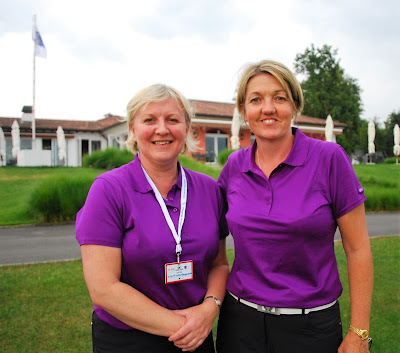 Both Elaine and I (pictured left) have been impressed by the high standard of our members' play in practice," said GB and I team manager Helen Hewlett who, when her surname was Dobson, beat Elaine Farquharson-Black in the 1989 British women's amateur championship at Royal Liverpool and who teamed up with Elaine to win the world women's better-ball foursomes a year or two later. It was the last time that tournament was played so Aberdeen solicitor Elaine and Helen can claim to be undefeated world champions! 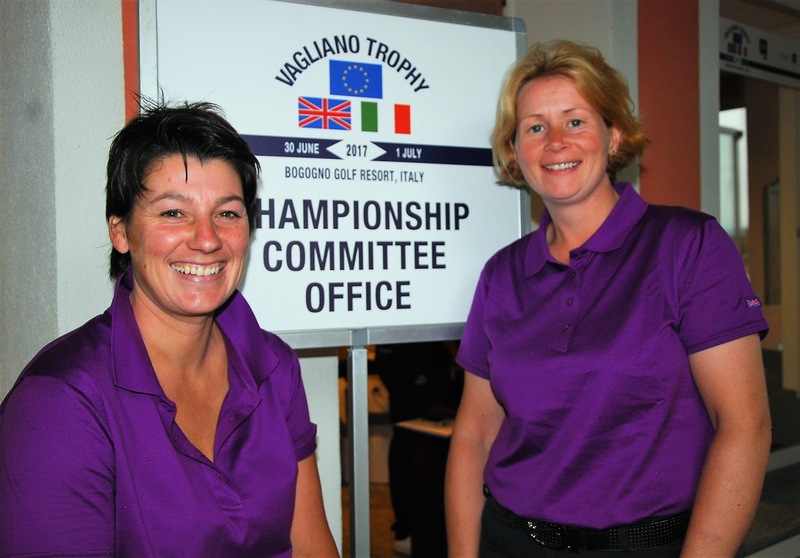 "As far as the world amateur rankings are concerned, I don't pay too much attention to them because they are based on a two-year cycle and don't represent current form," said Mrs Farquharson-Black." 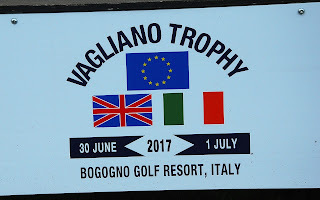 GB and I have yet to win the Junior Vagliano Trophy match for 16s, but this is only the fourth staging on the biennial event and Ireland's Claire Coughlan-Ryan has retained the captaincy of the GB and I team that lost the 2011 match by 8pt, the 2013 match by 10pt and the 2015 match by 3pt. "We are closing the gap and this could be the year of our first win," said Claire. Scotland's Gillian Roy is the team manager. This area of Italy has had more than its fair share of thunder, lightning and rain over the past week and the players were called in from practice this afternoon when the thunder started rumbling and the rain falling. 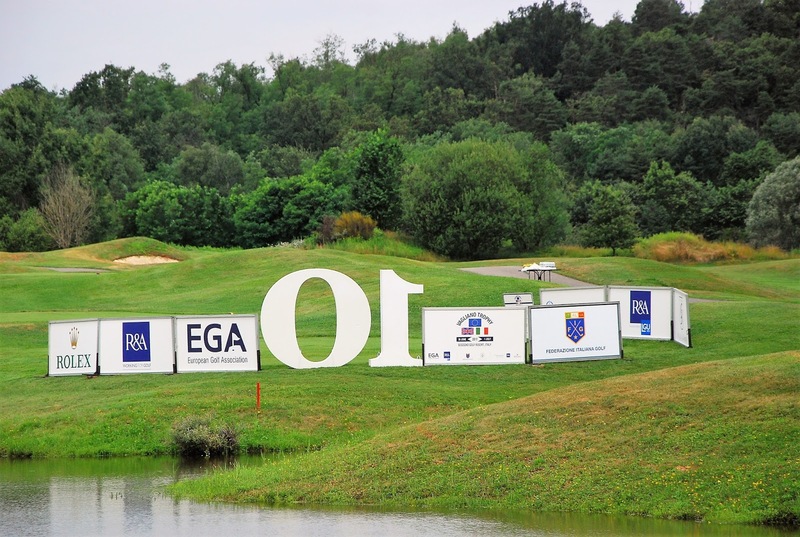 "We have been assured that there will be no lightning on Friday and Saturday, the days of the matches," a member of the European Golf Association organising committee told me. "Rain, yes ... but definitely not lightning," she said. At least the latest downpour has cleared the view of the mountains on the horizon, the border with Switzerland. 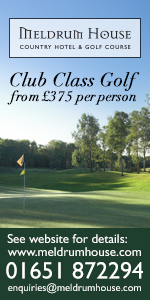 Bogogno, a superb golf resort with two 18-hole courses and a clubhouse big enough to double as the Italian Houses of Parliament. Bogogno - pronounce it bogoynyo, same as Bologna is pronounced Bolonya. Skipper Elaine Farquharson-Black with Alice Hewson on the practice putting green before rain and the danger of lightning halted play at Bogogno today. Just in case you were looking for the 10th tee, they made it very easy to find, even from the wrong side of the numbering!